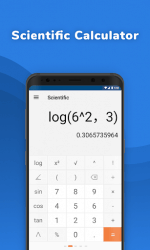 Powerful calculating functions packed into one single app, Calculator Plus is more than just a photo math calculator. It can calculate your GPA scores and BMI, just to name a few. Rigged with powerful photo math calculator technology, you can leave difficult math problems and math calculation to your camera. 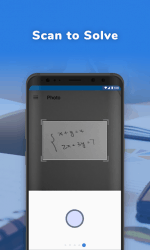 Scan to solve math equations with camera calculator scan built-in, calculus problems will be just as easy. Apart from the powerful photo calculator, it can help you with money things. Using the updated currency exchange rates, you can simply type in the number and convert it into your chosen currency with Calculator Plus. Calculate your GPA score, GPA calculator can help you keep an eye on your GPA scores. Calculator Plus is more than just a math calculator or photo calculator app. With Calculator Plus, you can solve trigonometric and calculus problems, as well as complex math equations. Calculating has never been so easy. A math calculator, a GPA calculator, Calculator Plus is many things in one. You don’t have to download too many apps, just use our smart calculator — Calculator Plus app and get all the powerful features like photo calculator scan, unit converter and camera calculator to name just a few. Calculator Plus strives to fight against deceptive and misleading advertisements. Take photo to solve the math problem with Calculator Plus.